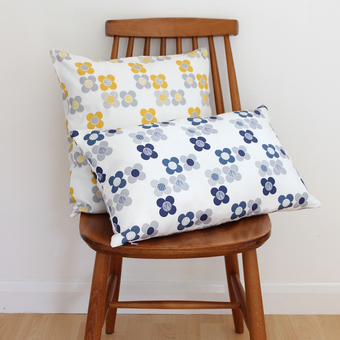 I create homewares and gifts using my unique Scandi inspired textiles and patterns, perfect for a colour filled modern life. A Hertfordshire based designer, I originally started my career as a jeweller exhibiting internationally, before working in interior design and then continuing on to my current work in printed textiles. Inspired by the Chilterns countryside that is home, my work is also influenced by Scandinavian design and frequent trips to St Ives in Cornwall. I create all my fabric designs using a combination of hand drawn and digital art. 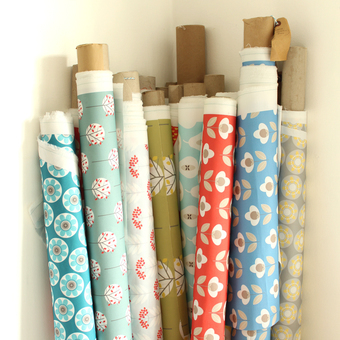 These designs are then used to produce collections of digitally printed fabrics and a selection of paper goods and gifts. 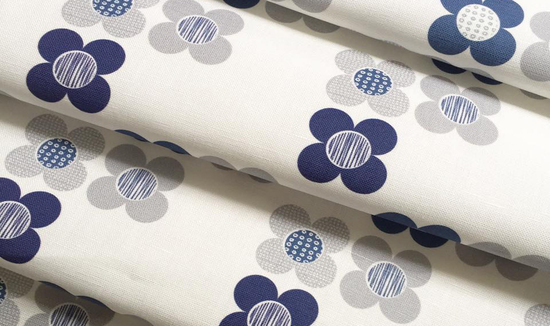 My designs are clean and crisp with a simplicity of style and careful attention to colour combinations. 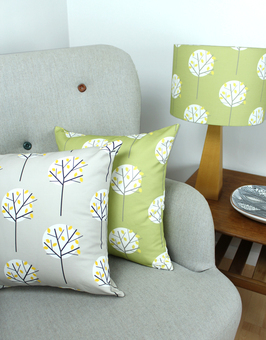 I make all the cushions and lampshades myself ensuring every item is finished to the highest standard. 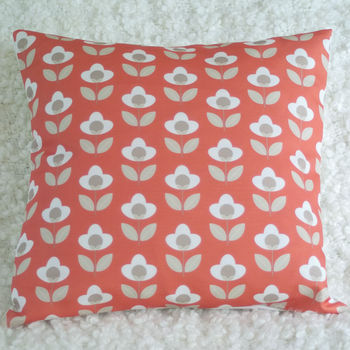 The end result is a range of homewares and small gifts perfect for all ages. "Beautiful lampshade. Came carefully packaged and it looks great on my lamp base." "Good quality at a reasonable price. 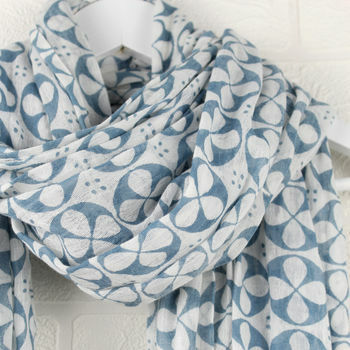 The colour of the scarf was exactly as displayed online - I've found in the past that I've ordered a 'blue' item from other sites which turned out to be green when it arrived and this was not the case with this item. The delivery of this item was within the timescale specified (which was important as I'm sending the item abroad as a gift). I'd recommend this seller without hesitation." 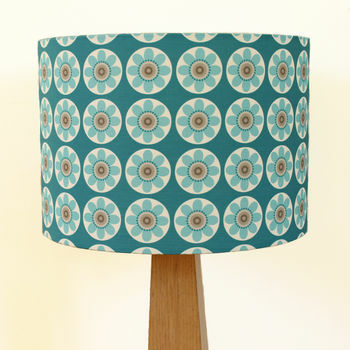 "A beautiful shade, it looks fantastic on my wooden standard lamp base." 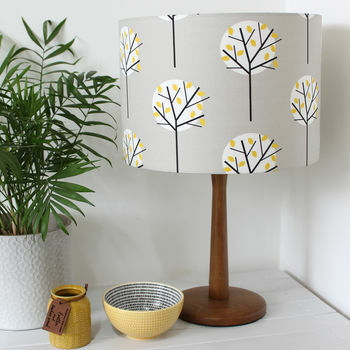 Please note that all lampshades are sent via a courier delivery service and will require a signature upon receipt.